Hanoi, Vietnam’s capital city, is known for its French colonial architecture and rich culture with Southeast Asian, Chinese and French influences. An attractive place of parks and lakes, Hanoi has maintained its traditional charm while becoming an exciting, modern city. It’s a delightfully livable city—for every glitzy shopping centre, there’s an incense-filled temple nearby and cultural influences of the past are still part of the modern-day fabric, from revered Confucian monuments to trendy French restaurants. For lovers of the four seasons, Hanoi’s hot summers, chilly winters and near-perfect spring and autumn weather are an added benefit. This growing, bustling city is the political hub of the country, as well as the cultural and historical centre. Hanoi has one of the lowest costs of living of any major city in Southeast Asia. A couple can live a comfortable lifestyle in Hanoi on a budget of $1,350 per month or less—$16,200 a year. Phnom Penh, the Cambodian capital, has lots to offer expats—an impressively low cost of living, bustling markets and a flourishing food scene set to a backdrop of colonial French architecture and temples, for starters. Attracted by its beauty, the warm and welcoming nature of its people and its supreme affordability, retirees living in Phnom Penh can afford indulgences out of reach at home, including home help, like a house keeper or gardener. For golfers, it’s a great place to have fun without breaking the bank. Not only is the weather ideal for a round of golf throughout the year, but the idyllic settings and lower prices make it a hole in one for keen golfers on the interesting and ambitiously designed courses. Also known as the “Pearl of Asia,” a retired couple could enjoy a good life in Phnom Penh on around $2,000 a month—$24,000 a year. The westernmost country on mainland Europe’s Iberian Peninsula, Portugal is a rising star on the European retirement map. 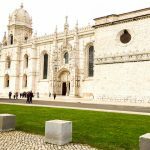 Lisbon, its capital—home to half a million souls—is a gracious city, a place where you can enjoy a European lifestyle with history, romance, astonishing hospitality and aseaside location to boot. Cable cars clatter over hilly, cobblestoned streets sweeping down to a sheltered bay in this Old-World haven. 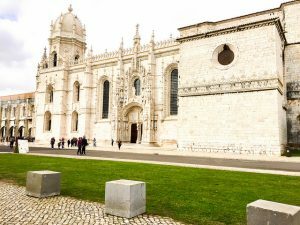 Lisbon’s climate is mild, even in the depths of an often-rainy winter, average lows are barely below 10 C, while summers are gloriously sunny and generally in the 20s C.
With all the amenities of a capital at hand—museums and performance spaces, restaurants and nightlife, an international airport—Lisbon is also one of the most affordable capitals in Western Europe. A couple could live well here for $4,255 a month—$51,060 a year—or on considerably less a little outside of the beautiful city centre.